Yesterday Judge Miles-LaGrange went against the will of the people, and blocked the certification of the Sharia ban. Besides doing that she has also shown us just how uninformed on the issue she is. She has blinded accepted what the Council on American Islamic Relations has told her. Furthermore, plaintiff has presented testimony that “Sharia Law” is not actually “law”, but is religious traditions that provide guidance to plaintiff and other Muslims regarding the exercise of their faith. Plaintiff has presented testimony that the obligations that “Sharia Law” imposes are not legal obligations but are obligations of a personal and private nature dictated by faith. I expect CAIR members to say anything to protect Islam, but I also expect the Judge to do some actual research on the issue. Plaintiff also testified that “Sharia Law” differs depending on the country in which the individual Muslim resides. For example, plaintiff stated that marrying more than one wife is permissible in Islam but in the United States, where that is illegal, Muslims do not marry more than one wife because Sharia in the United States mandates Muslims to abide by the law of the land and respect the law of their land. I challenge anyone to show me a version of Sharia Law, that does not discriminate against non-Muslims and women. No one can, because the Koran discriminates against both groups of people. If Muslim men are not marrying more than one wife here, it is only because they do not want to go to jail for bigamy. Are they supposed to be applauded for that? 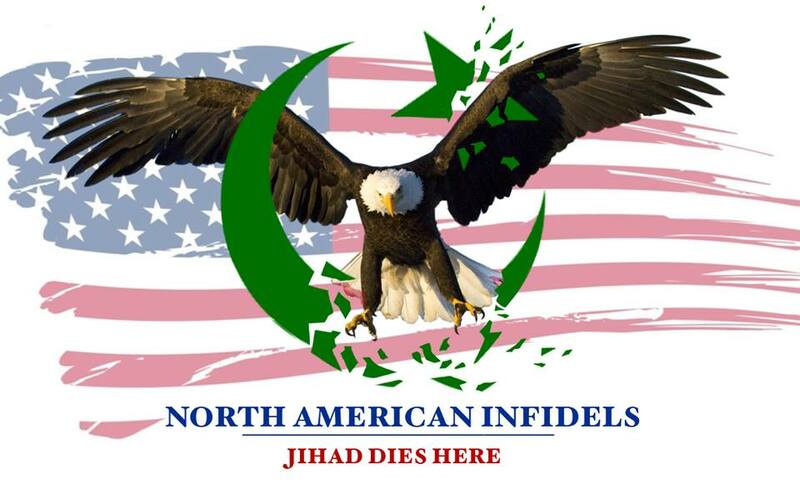 Once again CAIR has used the law of the land, against the land. The plaintiff is most likely talking about Koran verse 4:59. These two other translations of the Koran state the same thing. “You” means Muslims who are in authority. Now we get to see just how uniformed the judge is. Based upon this testimony, the Court finds that plaintiff has shown “Sharia Law” lacks a legal character, and, thus, plaintiff’s religious traditions and faith are the only non-legal content subject Case 5:10-cv-01186-M Document 20 Filed 11/29/10 Page 11 of 15 12 to the judicial exclusion set forth in the amendment. As a result, the Court finds plaintiff has made a strong showing that the amendment conveys a message of disapproval of plaintiff’s faith and, consequently, has the effect of inhibiting plaintiff’s religion. Really judge, what do you call this? Sharia Law (Islamic Law) 101: Non-Muslims Under Sharia. If you are not happy with what you have read so far, you are really not going to like the rest. Not only has she done no research on her own, she is actually encouraging the courts to use Sharia Law. Second, plaintiff claims that his First Amendment rights will be violated by the invalidation of his last will and testament which incorporates various teachings of Mohammed. Specifically, plaintiff asserts that because Oklahoma courts will be banned from considering Sharia Law, an Oklahoma court would not be able to probate his last will and testament because it would be Case 5:10-cv-01186-M Document 20 Filed 11/29/10 Page 6 of 157 required to consider Sharia Law. The Court finds that plaintiff is objectively justified in believing that said consequences would result from the amendment. Specifically, the article in plaintiff’s will which addresses the distribution of certain of plaintiff’s assets to charity is specifically linked to a teaching of Mohammed – what the amendment would clearly consider Sharia Law – and, thus, it would appear that any Oklahoma court probating plaintiff’s last will and testament would be required to consider Sharia Law when it issued its order approving the distribution of plaintiff’s assets and, because it would be banned from considering Sharia Law, it, thus, would be precluded from probating plaintiff’s will. redressed by a favorable decision. Accordingly, the Court finds that plaintiff has standing to bring the instant action. Judge Miles-LaGrange, you need to take a long look in the mirror, and see how you have failed America. We have our laws, and we do not need Sharia. It is time for you to step down. I wish someone like you could have been in the courtroom during the preceding to educate her. Thanks, but she might be one of those people who does not want to hear the truth. But of course, we have to try. I don’t like the truth either in many cases, but that doesn’t change the fact that its true. Maybe she is someone who would have trouble dealing with it. Even if so, maybe there’s someway to reach her anyway. I just put together an email to the judge. It provides information on the legal aspects of Sharia, and info on CAIR. The problem is that the Court will not give out an email address for her. I called there and the woman who answered, said I can only level a comment with my name and number. I said I wanted to give more than my word, and needed to email the judge with my sources. Once again I was told that I can only level a comment. I asked the lady if there was another number I could call. She said in regards to what? Amazing…. I see there is an email address for the Court’s help desk. I am thinking of sending it there, I will let you know. Someone ought to send her a quran to read! The Simple Koran would be good. I wonder what will happen to a female judge under full sharia? Will she even be allowed to keep her foolish head attached to her own torso? They’d probably lash her for pretentions to authority beyond her station. And yes, her authority is only a pretention in the eyes of Muslims. The only authority they respect is Sharia and the Koran. I’m not speaking for all, but I think this is most Muslims, and particularly those who are immigrants or second generation. Sharia is the rule of fear, not the rule of reason. Cry baby Chris Logan thinks he knows more about Constitutional rights than a federal judge. Conservatism damages the brain (aswell as the heart and soul). I never said I know more about the Constitution than her, but I certainly know more about Islam than she does. Do you want your family’s future generations to be forced to live under Islamic rule? With your name, you are the last person who should talk about brain damage. Piss off a clinton appointee judge does not a proper scholar make the court of appeals wants to enforce it let em. I bet they cant arrest the entire state of Oklahoma. If,and I will use a big IF…. America is turned into a muslim fantasyland,you will be able to blame every single LIBERAL who endorses,applauds and supports what muslims are trying to do here. Every single liberal I confront on this issue tells me I am a racist and a bigot and am anti-freedom. I seriously don’t understand what makes these “Americans”tick. Ask them what race Islam is, and if they want their family’s future generations living under Islam Law.